Joanna Moncrieff and Hugh Middleton, the co-chairs of the Critical Psychiatry Network, have produced a critical psychiatry perspective on schizophrenia (see article). They argue that the concept of 'schizophrenia' is neither valid, nor useful, and suggest replacing it with more generic concepts such as 'psychosis' or 'madness'. The replacement of the term 'schizophrenia' by 'psychosis' has already happened to some extent in everyday clinical practice, as reflected in the updating of NICE guidance, now called Psychosis and schizophrenia in adults: treatment and management, whereas previous editions just referred to schizophrenia. The recent BPS report was also entitled Understanding psychosis and schizophrenia (see previous post). Psychosis, like schizophrenia, is of course not an absolute concept and there may well be clinical disagreement about whether mental symptoms should be seen as psychosis. Jo and Hugh argue against the suitability of seeing mental disorders as illness and disease. As I have said before (see eg. previous post mentioned above), I do not have a problem with the term 'mental illness'. As I see it, the critical psychiatry position is that mental illness, such as schizophrenia, is not a brain disease. A patient did not contract a disease called schizophrenia any more than he or she became a schizophrenic, both of which implied that the disorder was an ontological entity distinct from the person. He [Meyer] urged that many prevalent forms of psychopathology were not the result of an attack on the organism (like syphilitic insanity, for example) but developed as part of its adaptive performance. "Every individual is capable of reacting to a very great variety of situations by [adopting] a limited number of reaction types," Meyer proposed in 1906, and he deemed this true of both healthy and pathological reactions. Schizophrenia ... described a particular type of maladaptation. Rather than a nosological term, then, he suggested a diagnostic adjective that would precede the term reaction-type. Instead of schizophrenia, he proposed "schizophrenic reaction-type." Bleuler, like Kraepelin, also assumed that schizophrenia ultimately derived from an unknown organic cause. He nonetheless attempted to understand the psychological conflict that triggered the latent disease. Against Kraepelin, he disputed that schizophrenia was a degenerative condition. Schizophrenia has always been essentially a phenomenological diagnosis, even if the assumption is made that an underlying biological cause will be found. Jo and Hugh concede that "certain patterns might be recognised". The usefulness or validity of the term schizophrenia may depend on the identification of these patterns. Like Meyer, though, I agree the problem with any attempt at psychiatric classification is the reification of psychiatric concepts, such as schizophrenia. If the concept 'schizophrenia' is of value, it does not represent an entity or a thing. 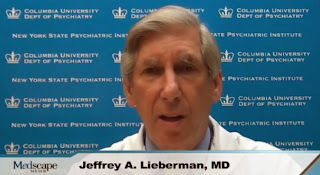 Jeffrey Lieberman (who I have mentioned in a previous post) is angry about Tanya Luhrmann's article in The New York Times (see his video post on Medscape Psychiatry). He's worried that people reading Luhrmann's article may think they don't have a mental illness when they do and, thereby, not get the treatment they need. 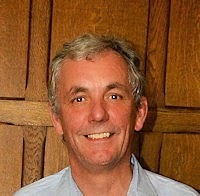 He's also clear, despite what Luhrmann says, that antipsychotic drugs correct a biological abnormality. He must know that he can't say psychosis is due to dopamine hyperactivity, just because antipsychotics may block dopamine, so I don't understand what he means. I do agree with him, though, that it's stretching a point to align Thomas Insel's rejection of DSM-5 (see previous post) with the thesis of the BPS report on psychosis (see another previous post). Insel is still very much a biological psychiatrist (e.g. see another previous post). 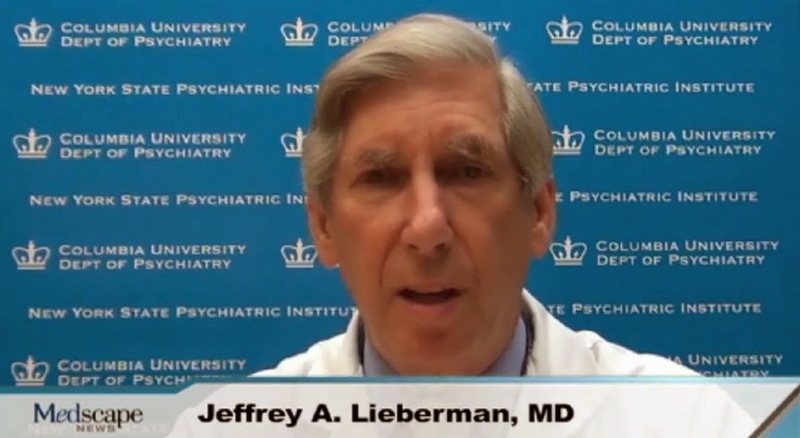 Lieberman is indignant that he has to deal with an anthropologist, like Luhrmann, commenting on such a "disciplined, bound in evidence, and scientifically anchored" subject such as psychiatry. Luhrmann in fact studied psychiatry by participant observation in her excellent book Of two minds. What Lieberman finds difficult is any scepticism about the effectiveness of psychotropic medication. As he says, debate about this issue should be encouraged. Is the insanity defence valid? Peter Kinderman's latest post on the Salomons blog questions whether we need the idea of mental illness in criminal justice. He's not saying that the criminal justice system shouldn't take account of people's personal and social circumstances. But he is worried that courts may think that mental illness makes people commit crimes. In fact, as I've pointed out before in a previous post, he doesn't think there's a place for psychiatric diagnosis. It does worry me that the critical mental health movement gets caught up in an apparent split about the validity of the insanity defence. Thomas Szasz, of course, famously argued against the insanity defence, as he did not believe in the notion of mental illness. Essentially, he thought there is no need for any specific mental health legislation (see eg. previous post). Whilst I agree that mental health services should not insist that people accept that their problems are symptoms of an underlying illness, Peter seems to be verging, at least, on rejecting the notion of mental illness altogether. We might benefit from more clarity about whether he thinks there should be a Mental Health Act. The point is that what is designated as mental illness may lead to mental incapacity. People who are psychotic may not make the most rational of decisions because of their mental illness. Crimes, including homicide, may be committed for psychotic reasons. It is generally accepted that it is wrong to punish a person deprived, even if only temporarily, of the capacity to form a necessary mental intent that the definition of crime requires. People should be presumed to have a sufficient degree of reason to be responsible for their crimes unless the contrary can be proved. But, in some cases people do appear to have acted irrationally because of mental disorder in committing their crime. 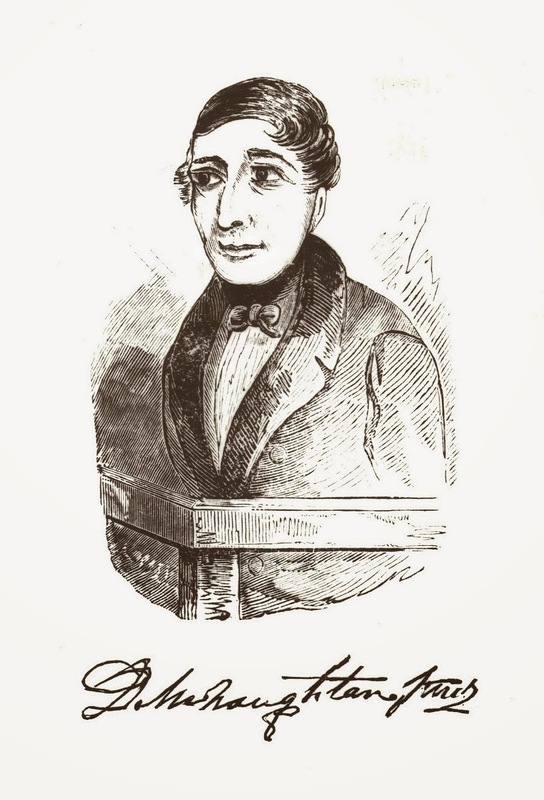 The legal test of criminal insanity in England was developed in the trial of Daniel McNaughton. On the 20th January 1843, Daniel McNaughton fired a pistol at point blank range into the back of Edward Drummond, the private secretary of the Prime Minister, Robert Peel. McNaughton may well have thought he was shooting the prime minister. In the magistrates court the next day he said, "The Tories in my native city have compelled me to do this. They follow, persecute me wherever I go, and have entirely destroyed my peace of mind." Although the court did not examine whether there was any element of truth to his claim and it was not explained why he had a bank receipt for a large sum of money on him when arrested, both the prosecution and defence agreed he suffered from delusions of persecution. No medical evidence was offered to say he was not deluded and the jury returned a verdict of not guilty by reason of insanity. McNaughton was admitted to Bethlem hospital and transferred to Broadmoor when it opened, where he died in 1865. His diminished responsibility for the homicide was accepted on the basis of his mental illness. In practice, courts may well be sceptical of psychiatrists' assessment of mental illness. For example, see my post about the case of Anders Breivik. I do understand what Peter means when he asks whether we really need the notion of mental illness to determine a Court adjudication. He seems happier with the notion of psychosis, so maybe we should use that term. Whatever we call it, mental dysfunction can diminish responsibility for a crime. Personally, I am happy to see such psychotic dysfunction as illness, in the same way as bodily dysfunction is illness. The real problem is seeing mental illness as brain disease (e.g. see another previous post).